Les poissons, les poissons, How I love les poissons! Each time we visit Montreal we have a routine of visiting Rayan Poissonnerie & Restaurant every single time. Our second time there was, I kid you not, on a layover in Montreal on the way back from Hajj last year. "We got a couple hours so.. why don't we go order some food to bring home?" It was excellent. I took a great picture of Rayyan standing in front of the Rayan Restaurant sign, holding a bottle of "Rayyan" branded water we got on the plane and I frequently make mention of it. 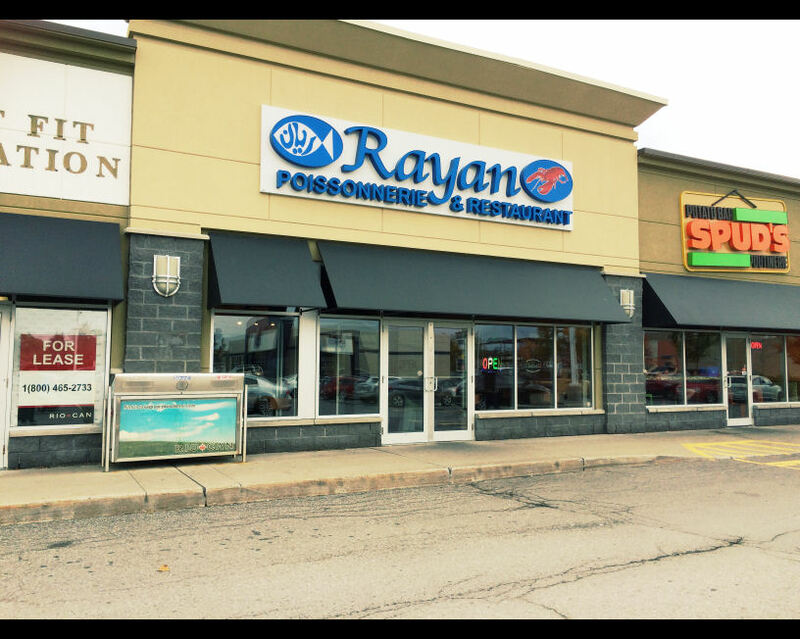 During a road trip to Ottawa to visit our Hajji family this past weekend, word on the street was that a new location had opened up a little ways away from the down town core, so we were beside ourselves with glee!